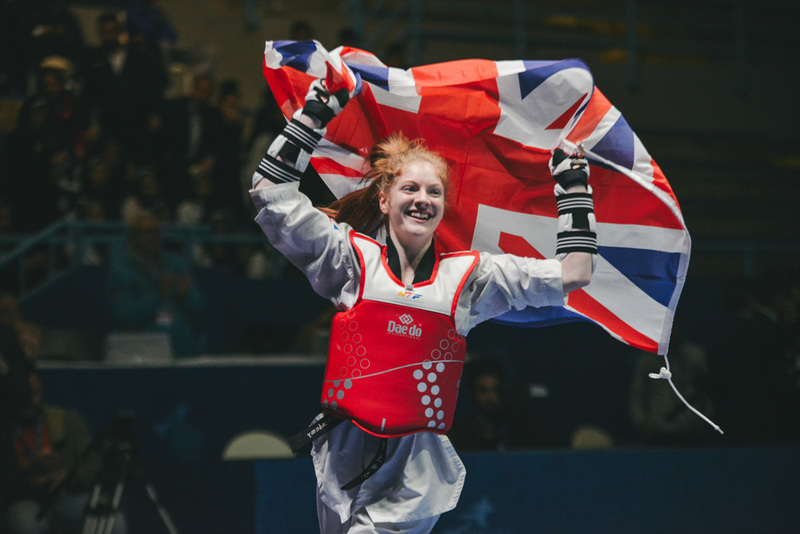 Youngster Jordyn Smith was encouraged by her Dad to take up Taekwondo for self-defence and quickly grew to love the sport. 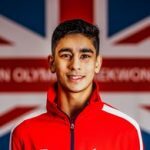 Before joining the elite team, she had been a member of the Sport England funded Development Programme for a number of years. 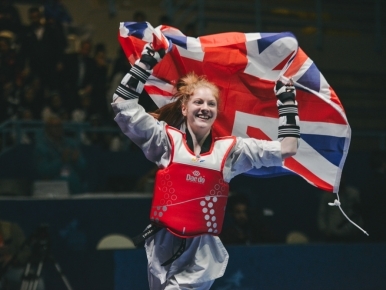 During this time she won gold at the 2015 Cadet European Championships, bronze at the Cadet World Championships and became Junior World Champion in 2018. 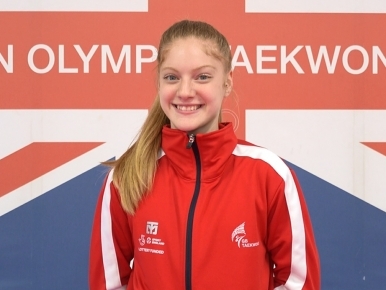 Scottish-born Smith has made quite a name for herself and her move to the senior divisions hasn’t been any different. In 2018, just 1 month after her world’s win she gained a bronze medal at the senior European Championships in Kazan, Russia. I started when I was 4 years old and my Dad originally took me, as he was worried I was going to get picked on because of my ginger hair. I used to do dancing but I wasn't very good at it. 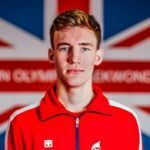 To be senior Olympic, World and European Champion. It's exciting to watch, it's a really respectful sport and the kicks are very powerful. I would probably pay my Mum and Dad back for everything they've done for me. I'd definitely do something for my sister as well because she's always moaning at me to take her on holiday (possibly Disneyland)! I'd also put the rest of the money into the bank and go on a shopping spree too. I was born with an extra finger.